SS Taco Rack | Patio and Hearth Co. 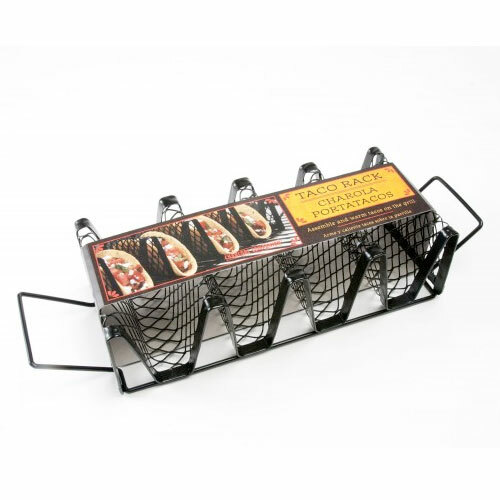 Build and warm your tacos on the grill with this handy taco rack. Excellent way to melt the cheese and then add cold toppings before eating. Open mesh-like design allows perfect exposure for even heating but prevents bits from falling through. Non-stick surface for easy clean up. Inquire about SS Taco Rack using the form below.